ErwAnne And SosBolz Double Date In Italy! A post-wedding road trip for these two couples! After the three-day weekend nuptials of Isabelle Daza and Adrien Semblat at the Castello di Gargonza, most of the couple’s guests went off on their own to explore more of Italy. 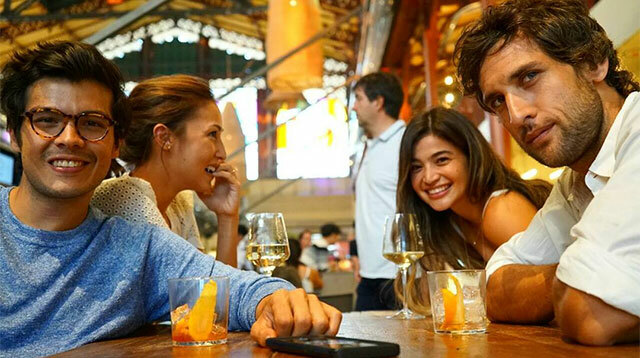 Two of our faves, Erwan Heussaff and Anne Curtis and Solenn Heussaff and Nico Bolzico (aka ErwAnne and SosBolz on the interwebz. So cute. ), took a two-hour road trip to the Tuscan capital, Florence! P.S. You seriously have to read Nico’s captions. Hilarz, I tell you! Yup, Erwan is a true IG-boyfriend!